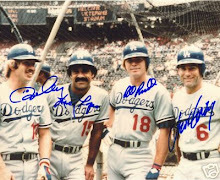 there's only one los angeles dodger on this particular sheet of cards from the 1990 target 100th anniversary set, yet the best known person on the sheet is known for wearing a different uniform in la. oh, and there are only 14 people in this post because one of the guys on the sheet was a double dipper - he gets a separate post later. enjoy. 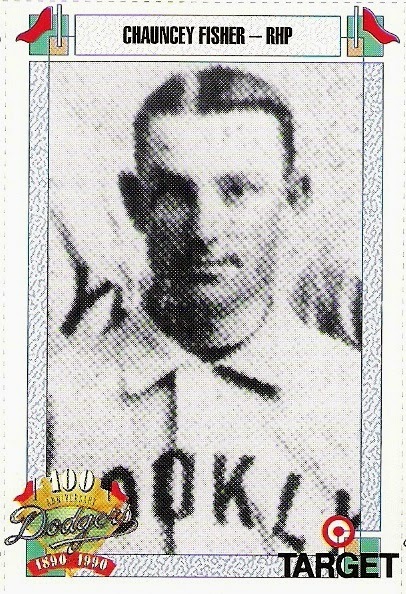 cadore is known primarily as the brooklyn robins pitcher in the famous 26-inning, 1-1 tie with the braves during the 1920 season (friday was the 95th anniversary of the feat). 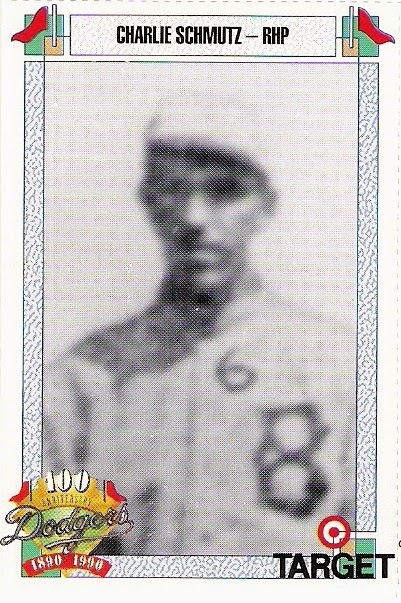 however, in addition to pitching 26 innings that day, cadore won 68 games during his 9 seasons with the robins, and appeared in one game of the 1920 world series against the indians as well. still, that marathon game is his claim to fame, and it even got him a card in the 1961 topps set, which is nice. 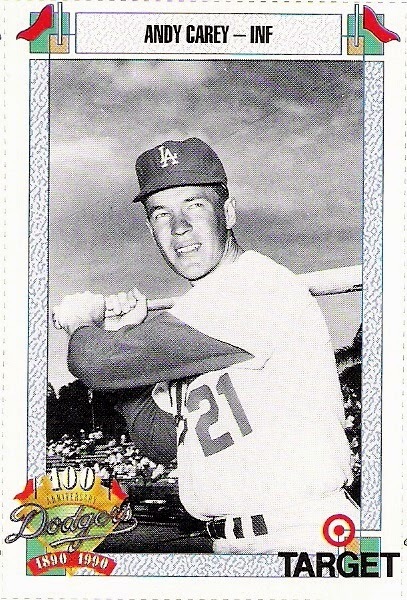 carey spent 10 seasons in the american league before joining the dodgers in 1962. he won three world series rings with the yankees (in 1953, 1956, and 1958 - although he did not play in the '53 series), and appeared in two other fall classics (1955 and 1957) as well. 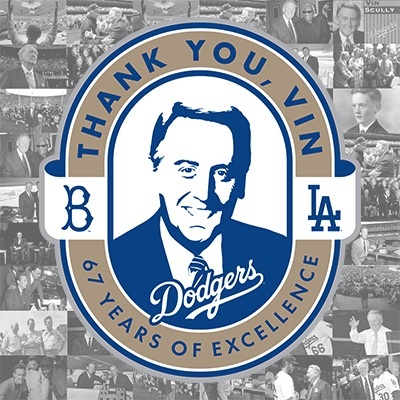 with the dodgers, carey hit .234 in 53 games during the 1962 season, which was the last of his career. 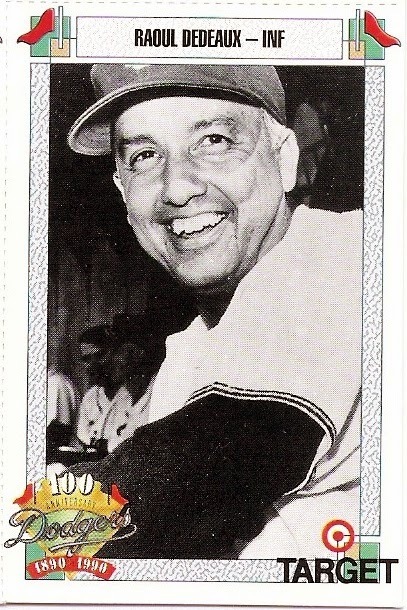 known better as 'rod', dedeaux was the legendary manager of the usc trojans baseball team from 1942-1987 and of the us olympic team in 1984 (earning himself a card in the 1985 topps set as a result). before all of that, however, dedeaux was a baseball player, and he appeared in two games for the brooklyn dodgers in 1935. he was 1 for 4 with an rbi at the plate as a major league player, but went on to collect over 1,300 wins and 11 collegiate titles as the coach at southern cal. 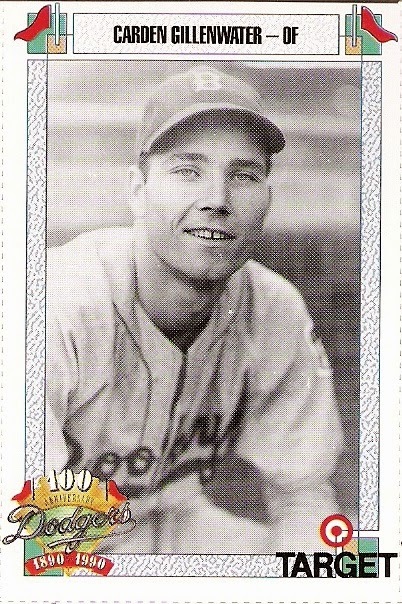 doyle pitched for the dodgers in 1939 and part of 1940. he had a sparkling 1.02 era over his five games pitched in 1939 (including a shutout of the phillies), but he had just a 1-2 record to show for it. in 1940, he pitched in 3 games for the dodgers and had an era of 27.00 before he was traded to the cardinals in the ducky medwick deal. 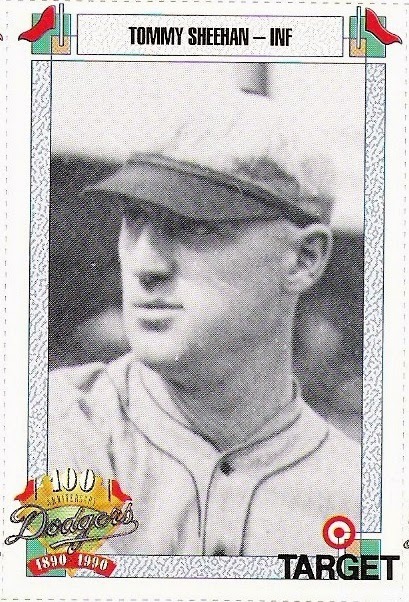 durning pitched in two major league games - one in 1917 and one in 1918. both came as a member of the brooklyn robins, both were in relief, and both were as the final pitcher of the game. in his big league debut, durning pitched a perfect inning. in his final appearance, he allowed 5 runs to score (3 earned) with 3 hits and 4 walks allowed over two innings. perhaps he should have quit while he was ahead. fisher pitched for the bridegrooms in 1897. he was 9-7 that year with a 4.23 era. fisher also pitched for the reds, giants, cardinals, and cleveland spiders during his career. 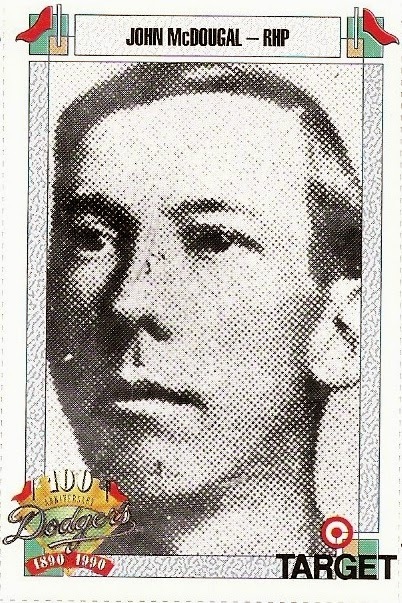 fuller appeared in three games over a 12-day span in 1902 with the superbas, and was 0 for 9 with an rbi and a sacrifice in them. 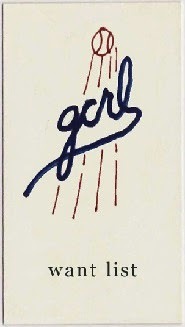 gillenwater spent time in the major leagues over five different seasons, playing for four different teams. 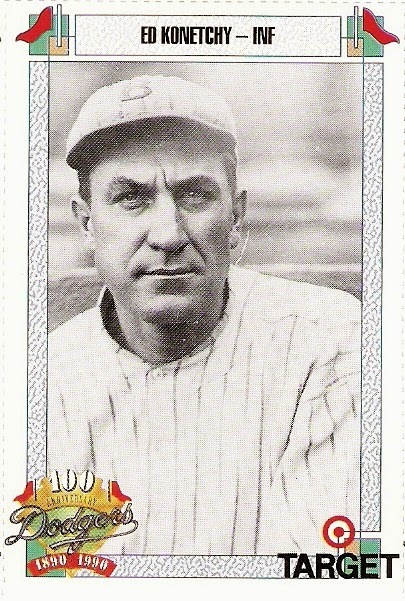 one of those teams was the 1943 brooklyn dodgers, for whom he played in 8 games and hit .176.
a good fielding first baseman, konetchy spent the first 7 years of his career (1907-1913) with the cardinals, where he put up numbers that topped the franchise leader board in many categories until rogers hornsby surpassed them. one number, his 151 steals as a cardinal, stood until lou brock passed him in the 1960's. 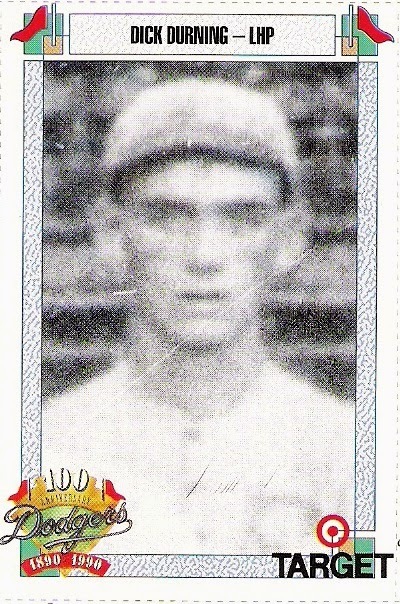 he joined the robins in 1919 after spending time with the pirates, braves, and one season in the federal league. konetchy helped the robins reach the world series in 1920 by hitting .308 in the regular season, although he hit just .174 in the fall classic. 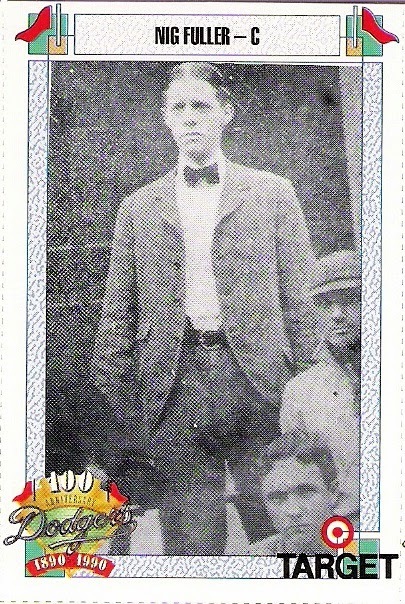 mcdougal made his big league debut with the brooklyn grooms in 1895, earning what today would be considered a save despite allowing four runs over three innings of work. he did not pitch in the big leagues again until 1905, when he was a member of the cardinals. 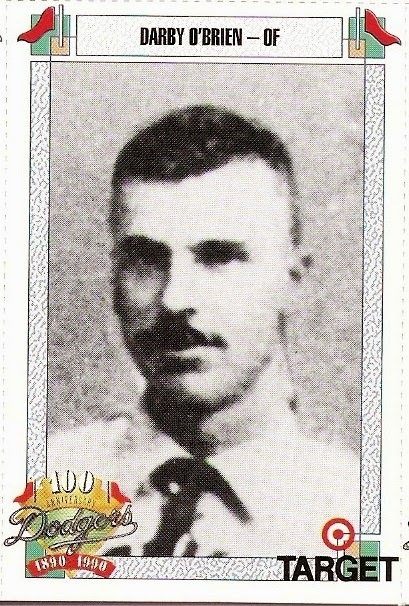 o'brien was a member of the 1890 brooklyn bridegrooms in their inaugural year as a national league team. he had joined the club in 1888, actually, and remained a member of the team through 1892. he hit .314 for the national league champion bridegrooms in 1890, but well below .200 during the postseason exhibition that year. 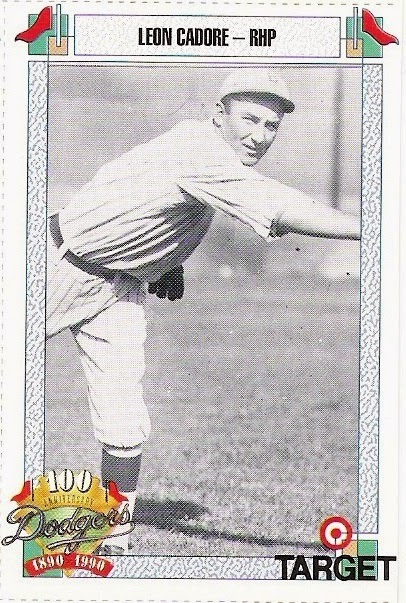 schmutz pitched for the robins in 1914 and 1915. he was 1-3 in 18 games during the 1914 season, and had no record in the lone appearance he made in 1915.
sheehan spent the 1908 season as a member of the brooklyn superbas following a couple of years with the pirates and a single game with the giants back in 1900. he appeared in 146 games, a career high, but hit only .214. actually, that .214 clip was slightly better than the team's average of .213, so maybe i shouldn't say 'only' when referring to the deadball era. 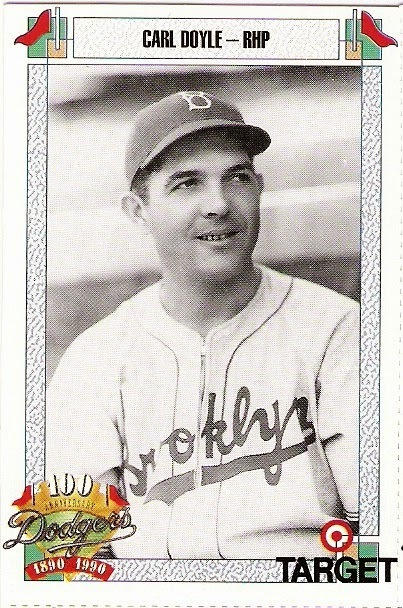 taylor joined the dodgers in may of 1932 after starting the season with the cubs, for whom he had played since 1929 (he also had a cup of coffee with the senators in 1926). 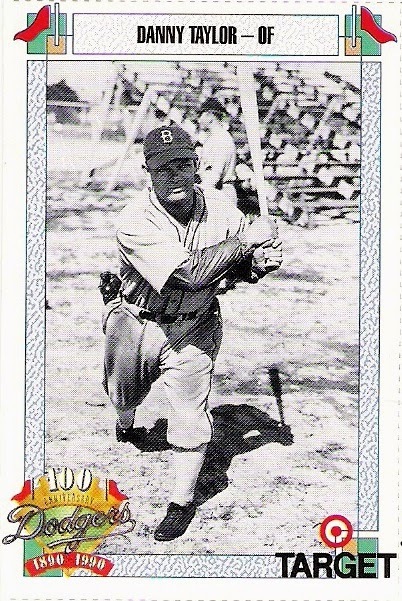 taylor patrolled the dodger outfield through july of 1936, and had an even .300 batting average over his tenure with the club.